Do you currently owe more than your house is worth? Are you worried that you can no longer afford the payments and are becoming afraid of losing your home to foreclosure or just simply want to sell and stop the bleeding? Either way, if you are upsidedown on your Mammoth property, I can help. I am a Certified Short Sale Real Estate Agent and have helped many homeowners in the Mammoth area avoid foreclosure by successfully working with their lenders to 'Short Sale' their property. In today's challenging economic times, you may actually be able to sell your property for less than you owe — without having to pay the lender the difference. This process is called a Short Sale. I have years of experience with Short Sale Properties in Mammoth Lakes and know exactly how to negotiate and work with the lenders and banks, short sale negotiators, asset managers, appraisers, escrow and title officers, brokers, etc... all on your behalf... so you don't have to. My job is to make the process smoother and easier for you while taking the burden and stress out of all the paperwork. If you have ever tried to call your lender to discuss your loan, then you know how difficult, time consuming and frustrating it can really be. A short sale, in real-estate terms, is the sale of a property for less than what the owner owes on the mortgage. If the lender agrees to a short sale, the homeowner's entire mortgage debt typically is forgiven. In addition, the lender will usually pay ALL escrow costs, marketing expenses and real estate comissions related to the sale, which means the short sale will typically NOT cost the seller any out-of-pocket expenses! 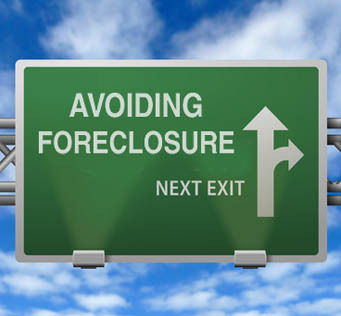 Lenders nowdays will very often agree to the procedure in order to take a small loss and avoid the lengthy and costly foreclosure process. Banks are not in the business of owning real estate, and they really DO NOT want to foreclose on homeowners unless that is the last resort. While there could be impacts to your credit score and/or tax consequences to a short sale, an ever-increasing number of properties are being advertised with that label. It is highly recommended that before you make any decisions, you discuss the potential consequences of a Short Sale with a CPA, tax preparer or real estate attorney first. If you are considering a short sale of your Mammoth Lakes home, condo or investment property, or have just commenced the short sale process with the bank, you will be asked to provide various documents to your mortgage lender as part of the short sale approval process. In order to make things easier for our clients we have prepared a short sale checklist of documents that will help you get the process under way. This short sale checklist of documents is largely applicable for all banks and mortgage lenders today, however they may also request additional items during the process. Please keep in mind that banks and mortgage companies often change their short sale procedures or requirements... every mortgage company is different and no two situations are exactly alike. Some banks and mortgage lenders may have additional addendums or forms that may require your signatures, but this is a pretty comprehensive list. I also have templates available for all these letters so you don't have to go to the trouble or stress of drafting them yourself. The short sale process is complex. It is highly recommended that you find a short sale listing agent that is very familiar with the short sale process and who has experience working with Real Estate Attorneys, Short Sale Negotiators, Lending Institutions, etc. Remember, your agent's experience is key to YOUR success. The faster you get through the process, the quicker you can end the stress and move on with life! If you would like additional information on short sales in Mammoth Lakes or the surrounding communities, contact Jeff Warwick - Certified Short Sale Agent, (760) 914-3000, jeff@Mammoth1.com, or simply fill out our contact form for a confidential and FREE consultation about your particular situation. I will get back to you right away.